THE family of an Australian woman caught up in London's terror attacks has confirmed she died "running towards danger". 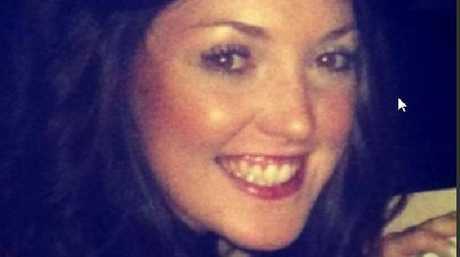 South Australian nurse Kirsty Boden, 28, was on London Bridge when she was set upon by terrorists who carried out the attack that left seven people dead just after 10pm on Saturday, local time. In a statement on Tuesday afternoon, Ms Boden's family said she was "loved and adored by family, friends and her boyfriend. "We love you and we miss you dearly," they said. "Helping people was what she loved to do in her job as a nurse and her daily life." They said she ran towards where the attack had taken place to help others already injured. "We are so proud of Kirsty's actions which demonstrate how selfless, caring and heroic she was. Not only on that night but throughout her life." The news comes as the third attacker has been named as Moroccan Italian, Yousseff Zaghba. 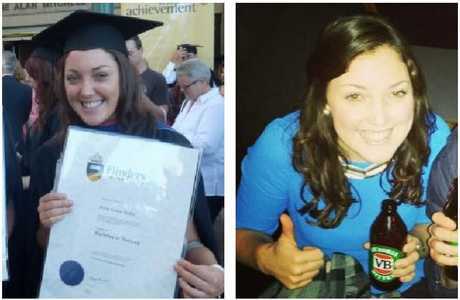 Ms Boden had reportedly been living in the UK for some time after moving from Loxton, South Australia. She was reported as "missing" on Tuesday and it is understood she is the previously unidentified Australian that Prime Minister Malcolm Turnbull referred to during a press conference earlier today. 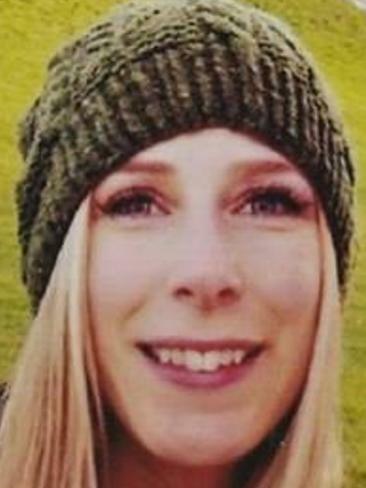 Australian authorities are still working with British police to establish the whereabouts of Brisbane woman Sara Zelenak, who was still missing after last being seen on London Bridge during the attack. Prime Minister Malcolm Turnbull said four Australians were believed to be caught up in the attack. Miss Zelanak remain unaccounted for. Candice Hedge and Andrew Morrison were found to be recovering from serious injuries. News.com.au understands hospitals can't give out any information to family members who call to inquire about missing loved ones because London is in a "terror lock down" and for privacy reasons. Ms Zelenak's mother, Julie Wallace, was leaving Australia "first thing" this morning to try and find her daughter in London. The Australian government is also understood to be providing assistance to Ms Boden's family. One of the first victims of London's terror attack to be named was James McMullan, 32. His sister Melissa McMullan broke down in tears as she announced the news of her beloved brother's death and slammed the terrorists responsible. "Hatred is the refuge of small minded individuals and will only bring more. "Words will never be able to match his essence. There will only ever be one James. Nowhere else will you find such humour. He was an inspiration," she said, adding that the police would be unable to formally identify him until the coroners report tomorrow. Mr McMullan had not been seen since he stepped outside a pub for a cigarette onto London Bridge near where the van was later seen to have crashed. Earlier, Melissa had pleaded for his safe return, saying: His family need him home x." He's the second victim to be officially named after Canadian woman Christine Archibald who died on London Bridge. Five people remain missing with family and friends leaving desperate pleas on social media to help find them. Friends and family of a Brisbane woman, Sara Zelanak, 21 have also posted about fears for her safety, saying she became separated from friends and has not been seen since. Her heartbroken stepfather Mark Wallace said his family hadn't heard from her for 48 hours and authorities hadn't been able to shed any light on where she was. Darwin man Andrew Morrison was stabbed in the neck during the London Terror attack and survived to tell the tale with bandages wrapped around his wound on the scene. 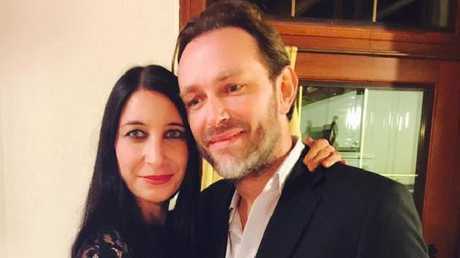 Spaniard Ignacio Echeverria, 39, has not been seen since he ran into help defend an injured woman and took on the attackers with his skateboard. His brother Joaquin said the family had been asked to provide his fingerprints and fear the worst for him. Frenchman Sebastian Belanger has also not been seen since Saturday. His girlfriend Gerada has launched appeals online asking "if anyone has seen him or knows anything contact me." Another Frenchman, Xavier Thomas, also remains missing. His girlfriend Christine Delcros is in hospital and her sister shared a post on Facebook asking for help to find them. "I appeal to all those who have news of #Xavier #Thomas who is missing ... We're terribly worried ..." she said. Another young man, Socaine Drz has been named by family as unaccounted for. His aunty, Hatice Bodur, shared a photo of the young man and asked friends to get in contact if they have seen him, The Sun reports. "If you see this Socaine please return home. We are worried sick police are looking as well." On Monday UK Prime Minister Theresa May said the "victims came from a number of nationalities" and it would take some time for authorities to contact the next of kin. "This was an attack on London and the UK but it was also an attack on the free world," she said. The family of the Canadian woman named as the first victim have revealed her fiance's heartbreak as he tried to perform CPR on her. 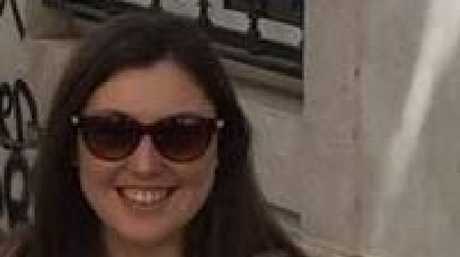 Christine Archibald, 30, was hit by the speeding van on London Bridge. She had been out for a late-night walk to see the sights of London having visited the capital from the Netherlands with her fiance, Tyler Ferguson. Mr Ferguson's sister said she spoke to her brother on the phone after the attack and urged friends to help support him after his heart had been broken into a "million pieces". "Last night in London, my baby brother, lost the love of his life on the London Bridge," she said. "In a split second his entire life was ripped away from him. Hearing his painful sobs on the phone while he's alone trying to deal with this tears me apart." "I have no words. If you know Tyler, please be there for him now, and later when what happened sinks in, he's going to need us all." Mr Ferguson's brother Mark told a British Columbia news station that the pair were in London for a week from The Hague where Mr Ferguson works as an accountant. Ms Archibald decided to join him on a work trip. "She had never been there before so they decided to take a walking tour of London in the night-time," he said. "He was showing her some sights and walking around and just enjoying the nice night." Mark said before she was tragically struck by the van. "He tried CPR on her ... First responders showed up right away and they tried to do everything they could for her. She passed in his arms." "They were very madly in love and had quite the plans for the future," he said. "It's obviously very, very devastating for him. The love of his life has just been ripped away from him." Ms Archibald's family said she would have "no understanding of the callous cruelty" that had caused her death. "We grieve the loss of our beautiful, loving daughter and sister," they said in a statement. "She had room in her heart for everyone and believed very strongly that every person was to be valued and respected. They also urged people to volunteer or work in homeless shelter on her behalf, saying: "Tell them Chrissy sent you". Canadian Prime Minster Justin Trudeau said he was "heartbroken" by the death of Ms Archibald.